Rehabilitation of sanitary manholes is an on going problem and so is controlling the I/I or (inflow / Infiltration) into your manholes. Let us help control the amount of storm or (grey) water entering your sanitary system by installing manhole chimney seals, joint wraps, insert dishes, chemical grouting, cement lining, or replacing your manhole with HDPE manholes. With the underground infrastructure in the state it is, D. A. 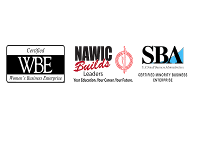 Van Dam & Associates, LLC offers solutions through products and services that help reduce, stop and prevent Inflow and Infiltration from entering sanitary systems. From sanitary access points (manholes) to lining or just prevention, we offer a solution to any situation and problem. 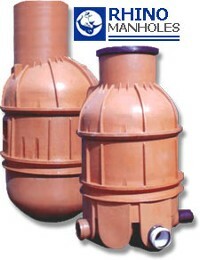 Products used to stop I/I from entering sanitary manholes and systems. As a way to help communities and municipalities comply with outside demands, consent decrees and other forms of environmental influences, D. A. 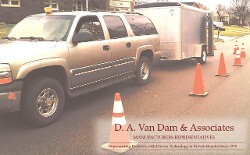 Van Dam & Associates, LLC offers you the service of Sanitary Maintenance Contracts. This gives a city, county or state a way to perform maintenance services on sanitary systems under a specified amount of money year after year. Contact us for more information regarding Maintenance Contracts. D.A. Van Dam & Associates, LLC provides innovative, cost effective solutions to stop structural deterioration and ground water infiltration while extending the complete life of your infrastructure either old or new! Most inflow comes from storm water and most infiltration comes from groundwater. Because of this we have put together products and services that can help reduce the amount of I/I into your systems. Let us save you millions by controlling your I/I problem now and prevent and stop erosion in manholes, catch basins and pipe joints with the use of chimney seals, insert dishes, pipe joint wraps and chemical grout. We have our own crews to help you stop your I & I problems from Manholes and Catch Basins. By using Rhino Manholes you can reduce installation hazards, time delays and costs normally associated with manhole installation – less manpower required to move, handle and install. Typically H.D.P.E. manholes will last up to 20 times as long as concrete in high acid and chemical environments. Also Rhino Manholes are used for other subsurface applications. Aging waste water infrastructure is a big problem and D. A. Van Dam & Associates, LLC provides cost effective products to help repair and rehabilitate any condition of a waste water infrastructure access points. Our products are proven to withstand the harshest of conditions and are resistant to the most aggressive biogenic corrosion conditions found in waste water infrastructures.